This idea is totally awesome and the execution looks great too! Warning: from now on, updates on this dev blog will most likely inadvertently spoil some puzzle solutions. If you want to go into the final game without knowing any of the solutions, you may want to avoid this dev blog. Today I took the opportunity to take a bunch of levels that I had blocked in, and made them actual, playable levels and put them into the level order. The game's substantially longer, but I'm sure I'm going to be doing a bunch of trimming it down. 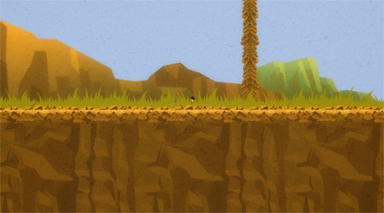 Here's some screenshots of some of the new levels! Expanded one of the shorter levels. A level using water. 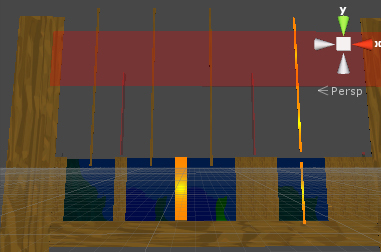 Water makes the player float upwards, so they have to figure out how to get down further into the water. A level that teaches how the cloud ceilings/walls work. Not sure yet if this is needed, but I'm going to test it out! Not sure what to do with it yet, but faking point light screen wrap is pretty cool! Here's how I'm faking the point light screen wrap. I parented additional point lights to the player, that are the exact size of the screen in world units away from the player. This level teaches water momentum (the further you fall before you land in water, the further into the water you will go down, and it will launch you an equivalent amount). 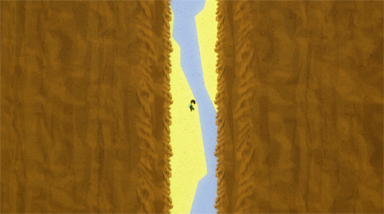 The level allows the player to get into a flow that shows them how the momentum works. One of the few levels that doesn't really have much puzzle solving, but is just fun to play from a kinetic sense. 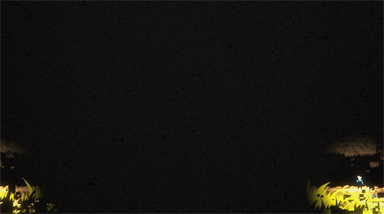 I made a template for the artists. 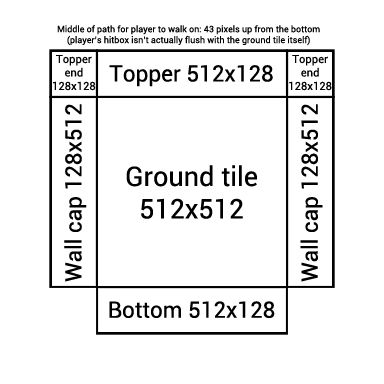 This is for our ground tiles. oh, and thank you oleomingus for the nice words! Glad to see you enjoyed the fourth wall! Just a quick update today. I've been working on a system for one-time movement of objects, that can be delayed or trigger-able. I created a script for moving objects with transform.lerp, and it's working great. I made some buttons for the script that are super useful, that you can see below. This is the first time I've actually looked into how to make buttons for the Unity editor, and it's actually way simpler than I thought it would be! Here's a look at the test room I made with this new script (low-framerate gif, so it looks a little choppy). Next, I'm going to make it so that I can trigger these movements too. Shouldn't be too difficult. very cool stuff. nice job! That test room looks really cool, making the environment move in-game must give a lot of room for creating new puzzles. I really admire people who can do puzzle games like that, I like puzzles but I find it hard to create them. The art too is really neat, I wanna see more! 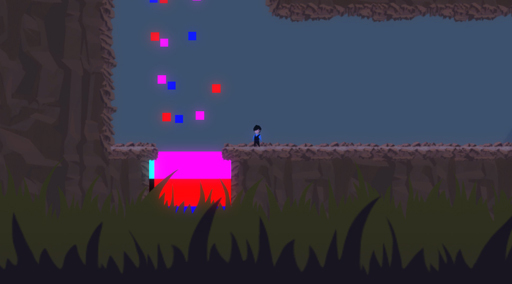 The tough part, mainly because of how I'm doing collision, will be making it so that the player can walk on moving pieces. Now that I think about it, though, I have moving platforms that have been in for a while, I can probably get it to work pretty easily. Edit: I mainly started making it, though, as an aesthetic thing. It could be useful in puzzles, though! It took me a bit, but I got moving land working with the player for the most part. I'm doing it by parenting the player to the ground tile as long as it's moving, and then unparenting when the ground stops moving or when the player exits collision with the ground. The main problem I'm running into is, if the ground tile moves too fast vertically, the player just falls through the ground, even though he's parented to it. I don't think it will be an issue right now, though, since I plan on most of the ground tile movements to be fairly slow. We'll see how it goes. 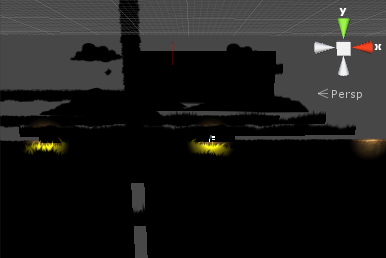 Edit: Oh, and I successfully made the movements trigger-able, and the trigger itself can have a delay as well. Not really worth showing that right now, though, but it will be useful! 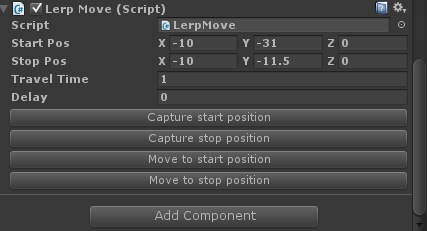 Edit2: I can't seem to multi-edit my lerp move script, and I think it's because it has custom Unity Editor buttons. Anyone know if there's a way to fix/get around this problem? Today I submitted to a conference that leans toward better-looking games, so I spent some time going through all of the levels in the build and making them look better. 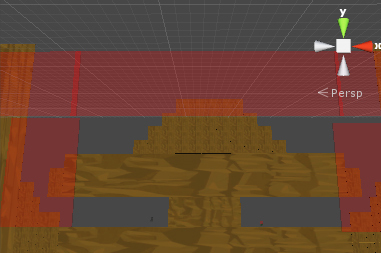 Also, I cut a ton of levels so that the current build is much shorter - more like a demo than the full game. I didn't have much new environment art to work with, so I experimented with prop placement and modifying the original textures of some things. Here are some highlights! I've been playing Papo & Yo recently, and I really enjoy the look of their world - mostly realistic, with touches of bright white underneath things to make things just a little bit surreal. This is me trying to do a similar thing. 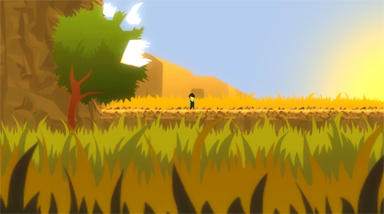 This level uses foreground/background wrap, and in the background the player walks in some tall grass to give a better sense of depth. 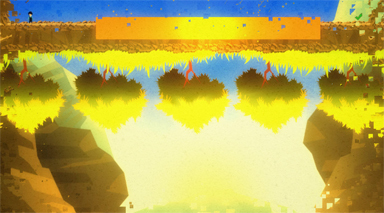 It also serves to show the player that the foreground-background wrap is just that, not a shrinking-growing mechanic. Started working on the cloning mechanic for single player split screen. After working on it for a while, I realized that it doesn't make that much sense. I'm not sure if it's intuitive. So, instead, I made a border that visualizes how the 2 cameras and the player relate. I'm going to test this out soon to see if this makes sense to players. Actually, after looking at this, I'm realizing that I think showing just the split screen line may be more important than the whole border of the screen. I'm going to try that as well! I changed the visualization of the split screen. 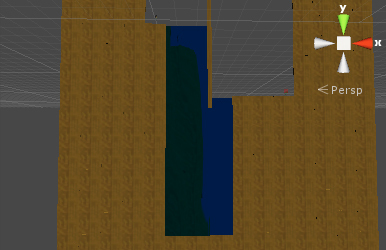 Now it shows how both cameras relate to the other, which side is the split screen, and it only shows up once the screen is locked in place, since that's when the player needs it. 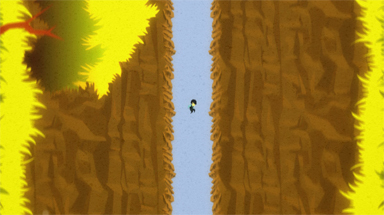 Working more on the single player player split screen today. I fixed a bug that would happen when the player appeared in both cameras. Essentially it just required that I change screen wrap to account for movement and position instead of just position. For example, right->left wrap would just check to see if the player was on the very edge of the right side of the screen. Now it checks for that and makes sure that the player is moving right as well. As you can see in the gif, I also changed the split screen visualization to account for vertical position of the cameras, not just horizontal. Are there rules against "double-posting" in a dev log (aka posting two updates in the same day)? If so, I apologize, and from now on I'll plan on showing things at the end of the day. I thought I wouldn't have anything new to show off today, but it turns out I do! I watched a presentation by Richard Lemarchand a little while ago about experiential sections of a game - he gave the tibetan village in Uncharted 2 as an example. It made me stop and reflect about this game, and how my level design usually has a no-downtime intensity curve. I do take the intensity curve into account, but the valleys are usually just easy puzzles. So I want to incorporate downtime sections into Four Sided Fantasy - sections that don't have typical puzzle-solving gameplay. The player is still in control, but these sections tend to focus more on the visuals or audio rather than challenging puzzles. And yes please, more of that! I have a thing for atmospheric games, games with a sense of place, exploration, discovery. So moments like that are always wonderful to experiences. The zoomed out moment looks great and seems like it would indeed provide a nice recess after some tough puzzles, especially combined with good music. However, will zooming out be out of context with the rest of the game? I mean, will it be the first and only time it happens, thus making it kind of weird? It could seem out of place, but I plan on having puzzles that use different zoom levels if any ideas come to me. 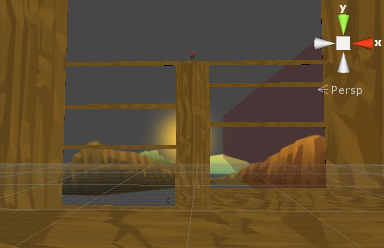 That, and I will probably transition into that section by having a tree foreground-wipe to that scene. Today I did a bunch of experiments to try to figure out the look for the death triggers. Lava doesn't really fit any of the environments, so I started trying a few different things. Since the main character is escaping his dull day-to-day life, I thought it might be neat to reflect that life in the death triggers, creating a link between the character's narrative and the player. Here's a few shots of what I tried. Color bars. More tv-related, but I think it could create a neat contrast. It definitely stands out. That, and I wanted to try something more colorful. A lot of the art direction in FSF is aiming to be saturated and colorful, and the darkness in the first image didn't mesh well with that goal. TV white noise. Again, tv-related, but I think I like this one the most so far. I still haven't made a final decision yet, and I may mess around with some other ideas, but what do you all think? Edit: almost forgot the key change! Cool! I'm liking it the more I look at it. I'm also now thinking that I may set a rule for myself that all objects that you can interact with are somehow more surreal/out of place than the rest of the environment. So instead of a key, it could be something story-related, something odd for the spring, etc. That would keep it obvious as to what you can interact with, and it would have a nice consistency to it. We still haven't come up with any non-placeholder art for the interactive objects, so it would be do-able. I generally don't have the slightest problem with enclosed spaces but this makes me incredibly claustrophobic. I'm impressed.